Beginning collectors and specialists alike will find it interesting to note that the 1862 is more easily obtainable in circulated grades than the 1861, this despite the fact that the former issue was produced to the extent of just 11,540 coins. 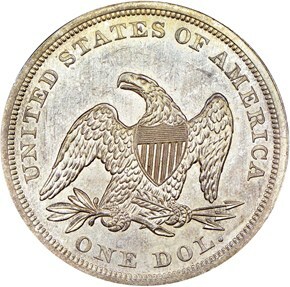 As in 1861, the federal government apparently held a limited number of Silver Dollars stateside in 1862. 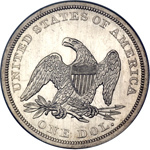 This is not to suggest that the 1862 Seated Dollar entered domestic circulation at the time of issue. On the contrary, the Silver Dollar was worth $1.04 in gold by 1862, and any coins located by bullion dealers would undoubtedly have been melted. Furthermore, northern banks suspended gold specie payments in December 1861, and by mid-1862 Confederate victories and the uncertain outcome of the war had driven all silver coins from circulation. 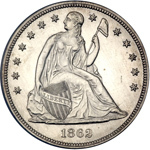 It is likely, therefore, that many 1862 Silver Dollars were exported, virtually all of which were melted. 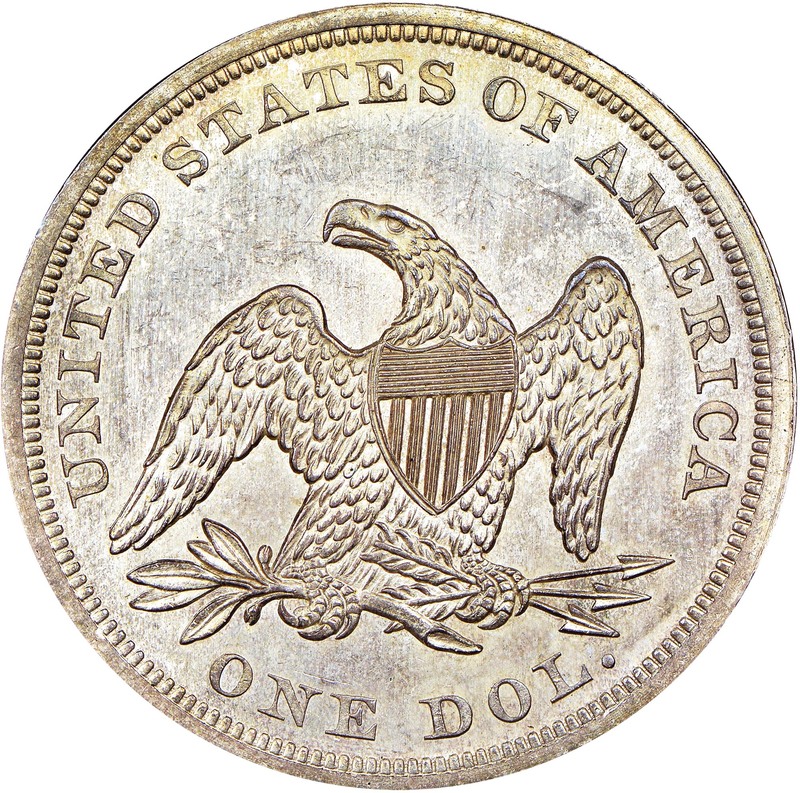 Other coins were probably released into domestic circulation in the late 1870s, when Silver Dollars were once again worth more as circulating currency than as bullion. 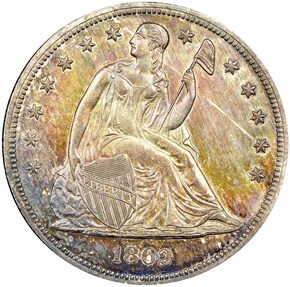 Although scarce, the 1862 is not rare in circulated grades, and collectors can usually obtain a decent representative with a little bit of patience. In Mint State, the 1862 is rare, especially in grades at or above the MS64 level of preservation.